I never thought I was a pickle person. I always had the vision of those sweet bread and butter pickles in my head and they just aren’t my thing. I’ve come to learn that I love pickles, they add such a nice sweet, tart punch to a simple salad or sandwich. I’m just very particular about the type of pickle I like, not too sweet with a nice bite of vinegar. I’ve gotten in the habit of keeping a jar of refrigerator pickles in the fridge so I can snack on them or toss them into my favorite dishes. 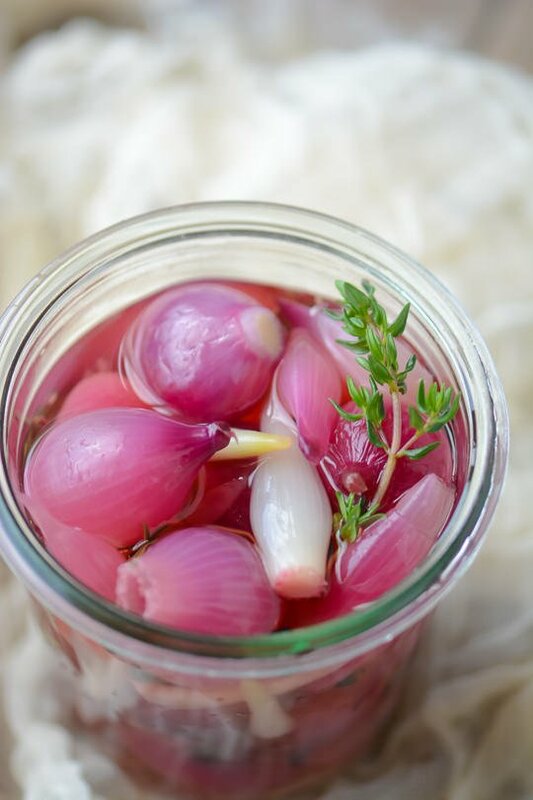 They can keep indefinitely in the fridge and you can use the brine to pickle some of your other favorite vegetables like carrots, or green beans. Check back on Thursday for a recipe highlighting these little lovelies! In a medium saucepan of boiling salted water cook the pearl onions for 2 minutes. Drain, rinse under cold water and drain again. 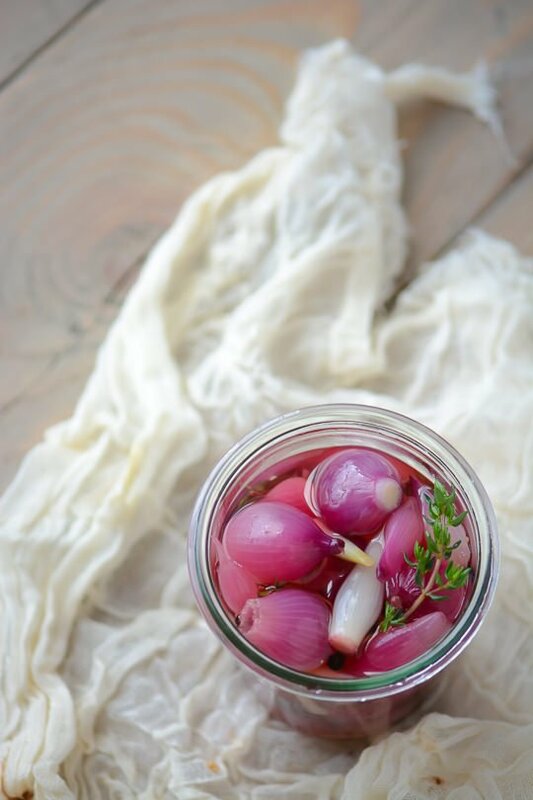 Transfer the onions to a small bowl. In a medium saucepan, bring the water, vinegar, sugar and salt to a boil with the peppercorns and thyme leaves. Boil until the sugar is dissolved, about 2 minutes. 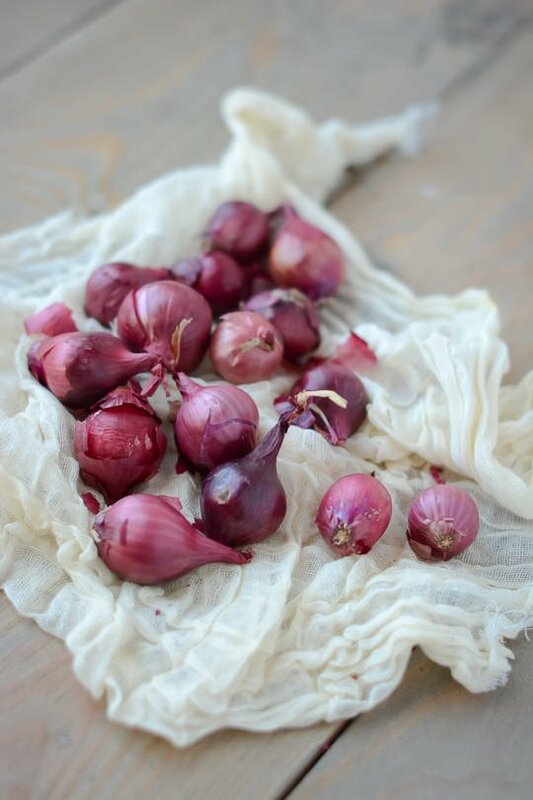 Pour the liquid over the onions, let cool and refrigerate for at least 1 hour before serving. Pickles will keep for up to a year in the brine. This is a great idea. I always have something pickled in the fridge too because I like the flavor boost it gives. But I’ve never used pearl onions. Often have cornichons around because they’re perfect to snack on while making dinner without filling me up. 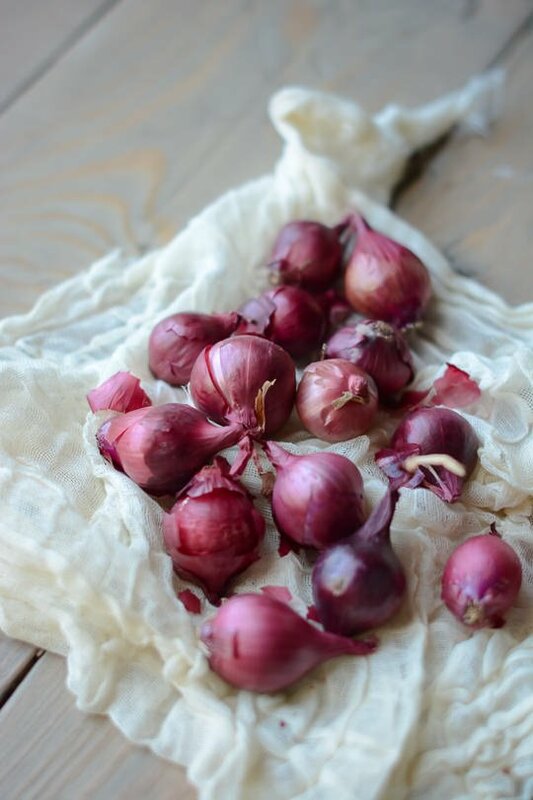 I have been loving the onions, they are great to add to a sandwich and can add a ton of flavor to a simple green salad without having to do any work. They would also be a lovely addition to a cheese plate. Ooh, homemade pickles are my favorite! I always have a jar of refrigerator pickled peppers and one of dill spears kicking around in the fridge. 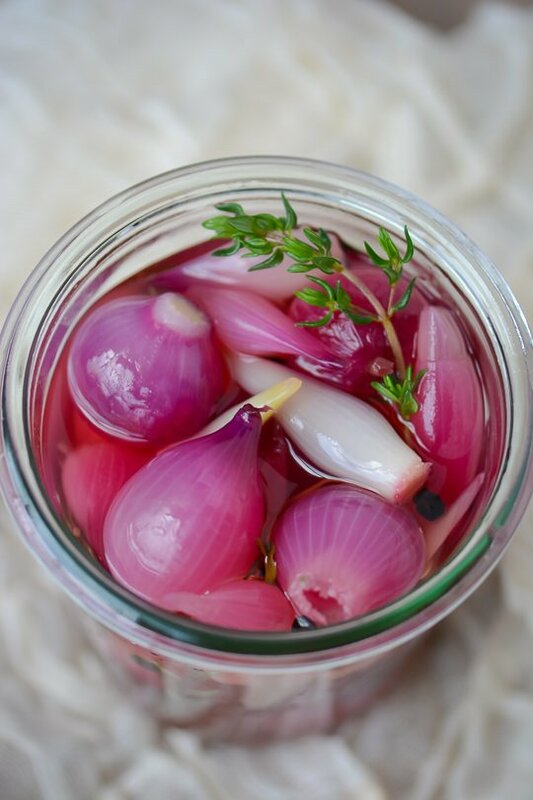 Never tried pickling onions before–but now I need a jar immediately! Regarding the sugar in the recipe, is it really 1/2 CUP? It is indeed 1/2 cup of sugar, but you can easily cut it down to 1 to 2 tablespoons if you are worried about the amount of sugar. They won’t be as sweet but are delicious either way. These days I make them with 2 tablespoons of sugar and rice vinegar so they are a little bit healthier and we love them that way too. I hope you like them if you try them, the spice combination and herbs are really what make them memorable so no worries if you want to cut down on the sugar!